Advenser has the right people, practices and solutions to help organizations meet their building information modeling requirements. We cater to a wide client base comprising of construction companies, general contractors, architects, product designers, and manufacturers. Our team has proven expertise in projects of varying complexity including high-rise buildings, apartments, education centers, hospitality complexes and commercial buildings. BIM plays an integral part in the exponential growth of the AEC industry and the dominant role of Revit BIM modeling is commendable. 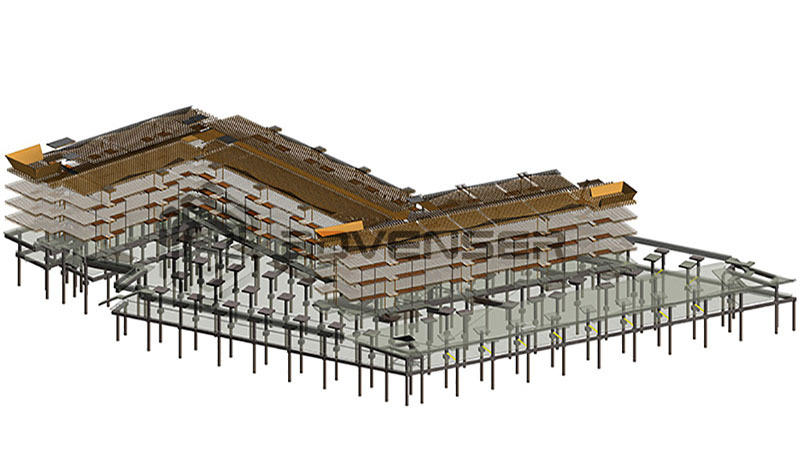 Advenser offers a wide range of Revit services such as 2D drawings for construction documentation, 3D parametric modeling, 4D BIM and 5D BIM services for construction scheduling and cost estimation. As per the requirements of the client, we prepare models ranging from LOD 200 to LOD 500. 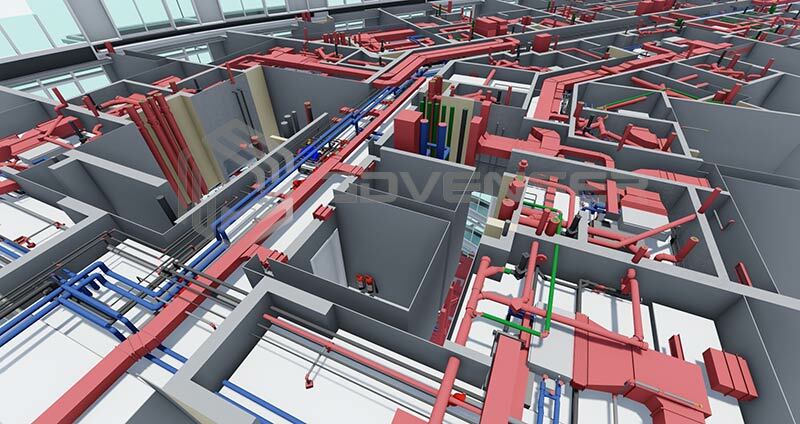 These models can be used to develop BIM workflow pattern which in turn makes the construction task a whole lot easier for the engineers and contractors working on the project. Autodesk Revit ® has been the software for building information modeling in the AEC industry for a long time. 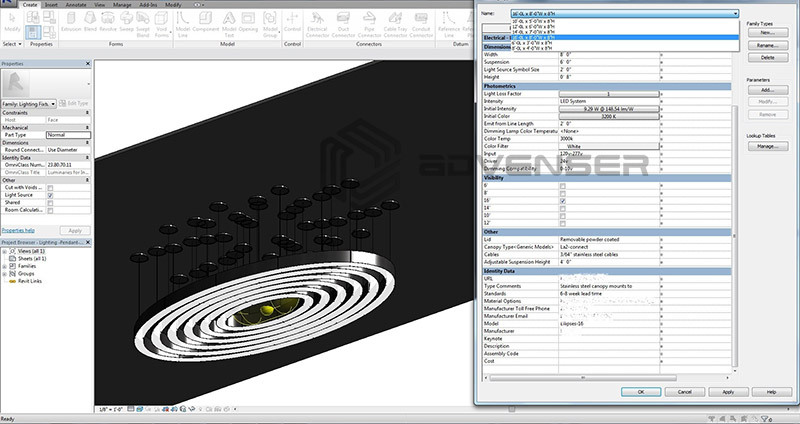 It is an all in one package for designing, drafting, modeling, and clash detection for multiple industry professionals. Revit also allows work coordination among architects, structural engineers, and MEP engineers to provide well-structured and coordinated BIM models. Revit is used in various stages of the project such as Drafting Details, View Display and Documentation, Object Data, Design Calculations, Rendering, Model Interoperability and Clash Detection. This software is very flexible for floor plans, elevations, sections, and 3D views, as well as area calculations, schedules, and quantity takeoffs based on client specifications. 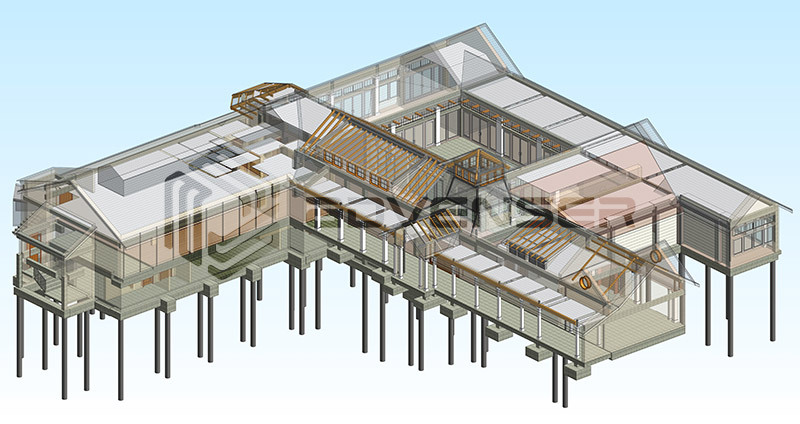 Utilizing Revit, we have done many projects around the world, with diverse complexities. Our team has over 200 experts who are capable in executing highly customized or complex BIM projects with utmost client satisfaction. We are one of the top companies on the list of best CAD service providers, by completing 2000+ projects in more than 18 countries. A number of general contractors, sub-contractors, land surveyors and architects consistently depend on Advenser for the implementation of Revit BIM models in their projects, which facilitate the shareholder to optimize time and cost parameters. Digitization is a key factor that has influenced the AEC industry platform more aggressively than ever before. CAD industry professionals are keen to implement BIM in their projects to deliver collaborated, error-free, construction ready deliverables. With the introduction of digital designing, the construction industry benefitted from major cut downs on cost and time. With our vast experience across multiple geographies and industries, Advenser has become one among the best BIM service providers.